Diversification is the way to build a brand recognition and clout in the International market. The company aims to build sustainable partnership with the world's leading companies to deliver technology at its best. 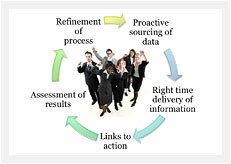 It utilizes ground research competencies to build momentum for a change in the industry. Santec continuously works to design and develop innovative presses that will provide the customers a significant advantage of lowest life cycle cost. The company is poised to enter into a new era of growth and development with analysis of the implications of growth-based economics, while identifying the areas for expansion. This philosophy has steered a meticulous path for new business ventures, product launches, technology incorporation etc. Extensive research is conducted to design and develop cost-effective machines that provide eco-friendly operation. The company is making all the effort to expand its operation and quality conscious customer base in different nooks and corners of the globe.